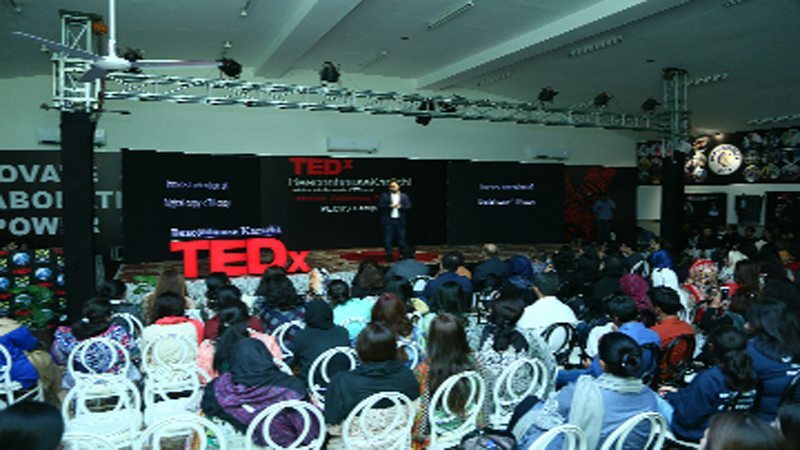 TEDx BeaconhouseKarachi was organized by the International Baccalaureate Diploma Programme (IBDP) at Beaconhouse School System (BSS) P.E.C.H.S Campus on 6th January, 2018. The initiative was taken by the management of IBDP at BSS to continue to serve the community through knowledge and idea sharing platform by organizing an independently organized event that was themed Innovate, Collaborate, Empower. TED is a nonprofit organization devoted to Ideas Worth Spreading, usually in the form of short, powerful talks (18 minutes or fewer) delivered by today’s leading thinkers and doers. These local, self-organized events are branded TEDx, where x = independently organized TED event. 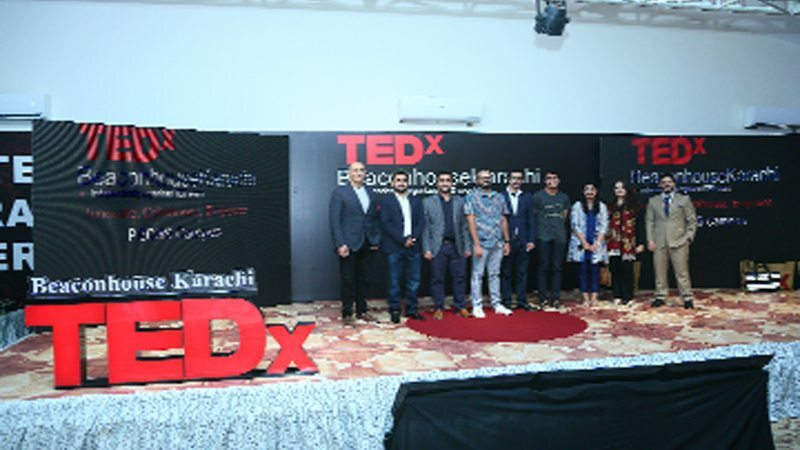 Almost 100 guests attended TEDx BeaconhouseKarachi at the BSS P.E.C.H.S Campus, and were enlightened by the honorable speakers from diverse backgrounds and professions. Acknowledging the power of shared knowledge and the need to spread ideas from among the community members, the noteworthy speakers who were invited included Mr. Junaid Iqbal (Managing Director of Careem), Ms. Nadia Hussain (Television artist, model and fashion icon of Pakistan), Mr. Umair Kazi (Partner at Ishtehari, a creative advertising agency), Mr. Salman Noorani (Music video director of Mariam – Mooroo), Mr. Saeed Husain (Student at College of Wooster; Graduate of IBDP at BSS 2017), Ms. Khadija Zia (Senior Program associate at NOWPDP), Mr. Raheel Pasha (Marketing Director at Unilever) and Ms. Hira Siddiqui (Program Executive at Centre for Excellence in Journalism – IBA). The audience was enlightened on ideas of sharing of resources for optimal utilization, social inclusiveness, power of social media to help us all become a brand, unfortunate conditions of sports at schools in Pakistan, power of storytelling to create a diverse and tolerant society, etc.